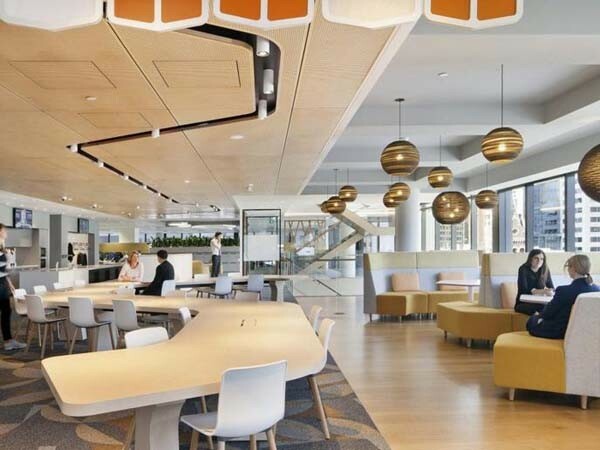 Two acoustic solutions from Atkar were specified for the new Westpac Melbourne headquarters to keep sound under control in the busy workspace. Designed by architecture firm Geyer with Boxed Office serving as the builder on the project, the office was built to meet Westpac’s brief for an agile working environment. However, this also meant the new office had the potential to become a hive of buzzing activity. Atkar’s acoustic solutions, Au.diPanel and Au.diStyle ensure sound is controlled and disruption is minimised in the office. Au.diPanel is a perforated timber panel that’s combined with Atkar’s range of decorative surface finishes and Integrated Acoustic Backing (IAB) to create a tailored solution to meet both aesthetic and acoustic performance objectives. Au.diPanel is available in a wide selection of perforation options and a choice of substrates. Au.diStyle is a range of solid decorative panels that delivers a striking finish on flat or curved surfaces in quality interiors. Available in a choice of finishes, Au.diStyle panels can be conceal-fixed to walls or ceilings.